In the previous chapter we have seen six miracles which demonstrate that Jesus the King has the dynamic, the power, to enforce the ethic He has pronounced, and the chapter before us continues the same thought. We see Him performing physical miracles of healing, one that I classify as supernatural (the raising of the dead) and the spiritual miracle of casting out a demon. Jesus left the country of the Gadarenes, who did not want Him, and returned to Capernaum. Matthew 9:2 says, And behold they brought to him one sick of the palsy lying in a bed. And Jesus, seeing their faith, said to the man sick of the palsy: Be of good heart, son, thy sins are forgiven thee. We are given details in Mark's account concerning this event. Mark tells us how this man was let down through the roof of a house, and the Lord both healed him and forgave him his sins. Healing and the forgiveness of sins are related. And, behold, certain of the scribes said within themselves, This man blasphemeth [Matthew 9:3]. Whether is easier, to say, Thy sins are forgiven thee: or to say, Arise, and walk? [Matthew 9:5]. But that you may know that the Son of man hath power on earth to forgive sins, (then said he to the man sick of palsy,) Arise, take up thy bed, and go into thy house. And he arose, and went into his house. [Matthew 9:6-7]. First, We see that the Pharisees considered Jesus as Man. They would be right. But that is only half the Truth. He was also God. The Man God. Second, They felt that He was blaspheming. In this they would have been right except that they did not realize the whole story. Thirdly, They were saying only God could forgive sin. Were they right? Could only God forgive sin? The answer....yes. Ask just about any Protestant and they will say the same thing. Only God can forgive sin. Let's look closer at Jesus answer. He called Himself the Son of Man not the Son of God. Why? The common understanding is that "Son of God" implies his deity—which it does—and that "Son of Man" implies his humanity, which it does as well. He was a son of man, that is, a human being. And He is the Son of God, in that He has always existed as the Eternally Begotten One who comes forth from the Father forever. He always has, and He always will. He is the Second Person of the Trinity with all of the divine nature fully in Him. He is born of a Virgin. He was conceived of the Holy Spirit in the Virgin Mary. Thus He is human—fully human. The Bible wants to emphasize that He is fully human. So that's the common understanding: He is both divine and He is human—two natures, one person. If you do a study of the term "Son of Man" in the Gospels you'll see that he didn't refer to himself most often as Son of God but as Son of Man. He said things like, in Mark 10:45, "For the Son of man also is not come to be ministered unto, but to minister, and to give his life a redemption for many. ." So he calls himself Son of Man very often. Particularly in the Gospel of Mark. Also understand that Jesus as the Son of Man, that is in His humanity had power. What do we mean by having power? Was he saying he was a Super...Man? There are six Greek words used for power in the New Testament. For the sake of time we will only give the definition to the greek word that is used here in Matthew. And that word is Exousia. Exousia denotes "authority", permission, or liberty of doing as one pleases, it passed to that of "the ability or strength with which one is endued," then to that of the "power of authority," the right to exercise power. So we see that the Son of Man, (Jesus in his humanity), has power (has authority). Who gave him that authority? Well, as the scribes said. "Only God can forgive sin" And who is God? As we said before, Jesus is God and Man and so He gave himself the authority, as God, to forgive sins as man. Now lets fast forward to Jesus Ascension into heaven. At this time He gives the great commission. Matthew, Mark Luke and John each has a record of the great commission even though they differ in exact language. Remember when I said Only God can forgive sin? And because Jesus is God and Man He was able to give himself the authority, as God, to forgive sins on earth while he was in His body. But now at the ascension he is about to leave. He is leaving his body the Church (see I Corinthians 12) behind with the authority to do what He did as Man. And one of those things he gave authority to do is to forgive sins, or retain them. Let me put it this way. In the Gospels, Jesus gave the Apostles a preview of what he would look like in his heavenly body during the Transfiguration. I believe that at the ascension they saw again the transfiguration. But this time he was taken into the clouds and into heaven. His Earthly body transfigured permanently. Now we the Church (The Militant Church) are his earthly body. We the Church have been given authority to do what Jesus did on earth. And among these things is the authority to forgive sin and or to retain sin. And as Jesus passed forth from thence, he saw a man, named Matthew, sitting at the receipt of custom: and he saith unto him, Follow me. And he arose, and followed him [Matthew 9:9]. Matthew modestly passes over his call with only this verse. Luke tells us that Matthew made a great dinner in honor of Jesus. Evidently the incident which follows took place at this dinner. Matthew invited many of his Publicans friends to this dinner because he wanted them to know the Lord Jesus Christ also. And it came to pass, as Jesus sat at meat in the house, behold, many publicans and sinners came and sat down with him and his disciples. And when the Pharisees saw it, they said unto his disciples, Why eateth your Master with publicans and sinners? [Matthew 9:10-11]. The Pharisees did not believe in eating with publicans and sinners. There are Catholics today who still have the same idea. Oh they will invite them alright as long as it is a fish fry, clam roast, etc, that are charging a certain amount money for a plate of food. Out side of that they won't have anything to do with them. It doesn't hurt to invite sinners to dinner because they are the ones who need to be reached for Christ. We need to have some contact with sinners. But when Jesus heard that, he said unto them, They that be whole need not a physician, but they that are sick [Matthew 9:12]. Jesus is the Great Physician. He has come to heal mankind of their basic problem, which is sin. This ought to be said about our Parishes. We have to many “out reaches” that have nothing to do with reaching out to the sinner to give them the gospel of Jesus Christ. May I say to you that I think some of these so called Catholic groups are sinful in their very existence and in the way they meet today. But go ye and learn what that meaneth, I will have mercy, and not sacrifice: for I am not come to call the righteous, but sinners to repentance [Matthew 9:13]. Matthew is at it again, quoting Hosea 6:6 from the Old Testament. When Jesus said, "For I am not come to call the righteous, but sinners to repentance," He could have included the Pharisees, because they were sinners. In fact, all of us are included- "For all have sinned, and come short of the glory of God" (Romans 3:23). Then came to him the disciples of John, saying, Why do we and the Pharisees fast oft, but thy disciples fast not? [Matthew 9:14]. The disciples of John had been observing the Lord Jesus. After all, some of these men were originally disciples of John-we know that Andrew and Philip were. They had come and were following the Lord Jesus, and the other disciples of John said, "Look, here is something happening which is a little different from the way we do it, and we are curious why." John, as has been indicated previously, was an Old Testament prophet. He walked out of the Old Testament into the New Testament to make the announcement, that the Messiah had come. Malachi had predicted, that a messenger would come to prepare the way for the Lord Jesus Christ. John said, ''All I'm doing is getting the highway ready for the Lord. He will be here in a few minutes." And He did come as John had said. And Jesus said unto them, Can the children of the bridechamber mourn, as long as the bridegroom is with them? but the days will come, when the bridegroom shall be taken from them, and then shall they fast [Matthew 9:15]. For believers today fasting has real value, As far as scripture is concern we have been given no commandment to fast. But the Church, has by the authority that God has given Her, promoted fasting and has given us special days of fasting. Fasting should be done with the idea that we are prostrating ourselves before God because we are in need of His mercy and of His help. This is the thought behind fasting. Now listen to the Lord as He explains the change of dispensations from the Old Testament of law to the New Testament of grace. Neither do men put new wine into old bottles: else the bottles break, and the wine runneth out, and the bottles perish: but they put new wine into new bottles, and both are preserved [Matthew 9:16-17]. Our Lord is saying this: The old covenant, the old dispensation of law, was ending, and He had not come to project it or to continue under that dispensation. Actually, He had come to provide a new garment. Concerning this new garment Chrysologus says this: "The fabric of the old law was worn away by Judaic zealousness, corrupted by the senses, split apart by factions and worn out by impure actions. The shrunk cloth of the gospel he calls a garment. But make note of the cloth, not simply the tear but the beginning of the weave. First of all, the fabric of Christ's royal garment was woven out of wool that came from a lamb, 'the Lamb of God who takes away the sins of the world' The royal vestment was a woven vestment, which the blood of His passion tinged with purple splendor”. That new garment was Jesus Himself! Luke in his gospel tells us that when this ruler first came to Jesus it was to ask Him to heal his daughter: This is what he says about this story. " And, behold, there came a man named Jairus, and he was a ruler of the synagogue: and he fell down at Jesus' feet, and besought him that he would come into his house: For he had one only daughter, about twelve years of age, and she lay a-dying". (Luke 8:41-42). The little girl was sick unto death, and while her father waited to talk with Jesus, a servant came and told him that the little girl had died. And Jesus arose, and followed him, and so did his disciples [Matthew 9:19]. As Jesus and His disciples arose to follow Jairus to his home, a large crowd gathered around Him. And, behold, a woman, which was diseased with an issue of blood twelve years, came behind him, and touched the hem of his garment [Matthew 9:20]. You cannot help but notice how striking this passage is. The little girl was twelve years old, and this woman had suffered with this issue of blood for twelve years. Here were twelve years of light going out of this child's life, and twelve years of darkness were coming to an end and light was breaking into this woman's life. Here is the contrast of light and darkness. In the previous verse note what the woman did-Jesus did not touch her, as He did in many other miracles, but she touched Him. It was not the method, however, that brought about her healing; it was her faith. For she said within herself, If I may but touch his garment, I shall be whole. But Jesus turned him about, and when he saw her, he said, Daughter, be of good comfort; thy faith hath made thee whole. And the woman was made whole from that hour [Matthew 9:21-22]. And when Jesus came into the ruler's house, and saw the minstrels and the people making a noise, He said unto them, Give place: for the maid is not dead, but sleepeth. And they laughed him to scorn [Matthew 9:23-24]. But when the people were put forth, he went in, and took her by the hand, and the maid arose [Matthew 9:25]. This is the first instance of raising the dead that we have in the Gospels. Three notable incidents of raising the dead are recorded. Again, Luke goes into more detail than Matthew. Luke adds that He spoke to the little girl in this lovely fashion, "Little lamb, wake up, I say." The method of Jesus in raising the dead was always the same. He spoke to the person directly. And the fame hereof went abroad into all that land [Matthew 9:26]. The tenth miracle concerns two blind men who followed the Lord Jesus. And when Jesus departed thence, two blind men followed him, crying, and saying, Thou Son of David, have mercy on us [Matthew 9:27]. Then touched he their eyes, saying, According to your faith be it unto you. And their eyes were opened; and Jesus straitly charged them, saying, See that no man know it [Matthew 9:25-30]. This is another remarkable case where the Lord charges these men not to tell anyone about what happened to them. He said the same thing to the leper. There are several reasons for the Lord to ask this favor, but one is made clear in this passage. The publication of His miracles caused the crowds to press in upon Him and actually hindered Him at His work. But they, when they were departed, spread abroad his fame in all that country [Matthew 9:31]. These two men whose sight was restored just couldn't contain their joy-''they ... spread abroad his fame." We now come to the eleventh miracle. Another demon-possessed man is healed. This is the third incident of demon possession recorded in chapters 8-9 of Matthew. As they went out, behold, they brought to him a dumb man possessed with a devil. And when the devil was cast out, the dumb spake: and the multitudes marvel1ed, saying, It was never so seen in Israel [Matthew 9:32-33]. But the Pharisees said, He casteth out devils through the prince of the devils [Matthew 9:34]. And Jesus went about all the cities and villages, teaching in their synagogues, and preaching the gospel of the kingdom, and healing every sickness and every disease among the people [Matthew 9:35]. "The gospel of the kingdom" is not the gospel of the grace of God. Chrysostom calls it “the gospel of the reign of God.” This does not mean to infer that there are two gospels. There is only one gospel, but there are many facets of it. The gospel of the kingdom was the announcement that the kingdom of the heavens was at hand. It meant to get ready for the King. It required repentance and fruit worthy of repentance from those that would accept and follow the King who was then going to the cross. ''And healing every sickness and every disease among the people." 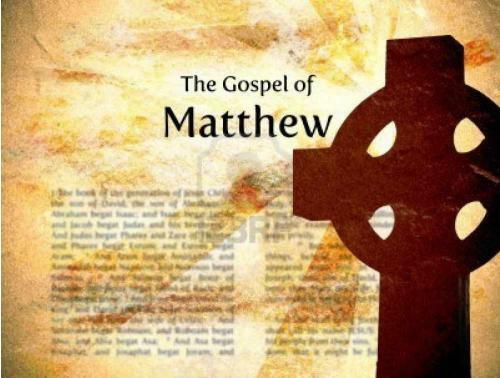 We see again and again that Matthew inserts this information that there were thousands of folk who were healed in that day. This is the reason the enemy never questioned the fact that He performed miracles-it was too obvious. But when he saw the multitudes, he was moved with compassion on them, because they fainted, and were scattered abroad, as sheep having no shepherd [Matthew 9:36]. God's ideal kings and rulers have been shepherds. Both Moses and David were shepherds before they led God's people. When we pray for the Lord to thrust forth laborers into His harvest, pray that He will give them the heart of a shepherd. Pray that the Lord will give you a heart of compassion for the lost. Having said this to His disciples, He now sends them forth. My friend, when you pray for something, it is always well to be willing to do it yourself. When our Lord asked the disciples to pray for laborers, He sent into the harvest these very men whom He asked to pray about it. This is very interesting. An old bishop years ago said, "When a man prays for a corn crop, the Lord expects him to say 'Amen' with a hoe." I have always believed that you should not pray about anything unless you are also willing to do it yourself.